Wispy Sunset HDRI Sky Panorama #43 is a massively, large, 19200 × 9590 pixel sky panorama that is compatible with all 3D applications, and can illuminate your scene using global illumination alone, without any other lights in your scene. 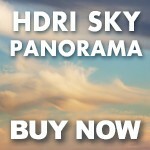 43 Wispy Sunset HDRI Sky Panorama is a massively, large, 19200 × 9590 pixel sunrise sky panorama that is compatible with all 3D applications, and can illuminate your scene using global illumination alone, without any other lights in your scene. 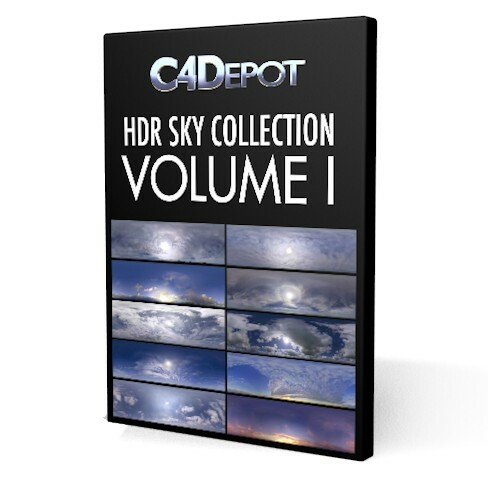 The above images were rendered using ONLY the HDRI sky image for illumination. No other light sources were used in the scene file. The skies included in this volume can also be purchased separately!